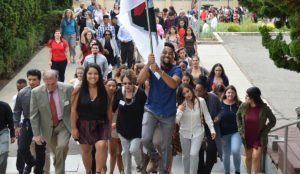 HNU students, faculty, and staff will gather in the Corrigan Courtyard to welcome the Class of 2022 and officially begin the 2018-19 academic year, our sesquicentennial! Holy Names University and Holy Names High School communities will come together for a Lake Merritt Clean-up event. Details TBA. 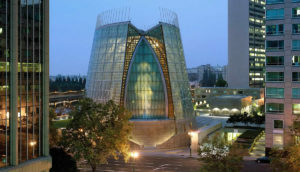 Bishop Michael Barber will preside at a celebration of the Eucharist at the Cathedral of Christ the Light in Oakland. A reception on the patio will follow. 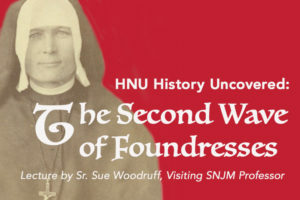 HNU alumni, we welcome you all to a very special 150th anniversary Homecoming! Expect our beloved Holy Names traditions, and other anniversary events to celebrate inspiring alumni of all ages. Save the dates - we can't wait to see you! Holy Names University will host students from Holy Names High School for a special Sesquicentennial Mass in the McLean Chapel with Father Sal Ragusa, SDS.